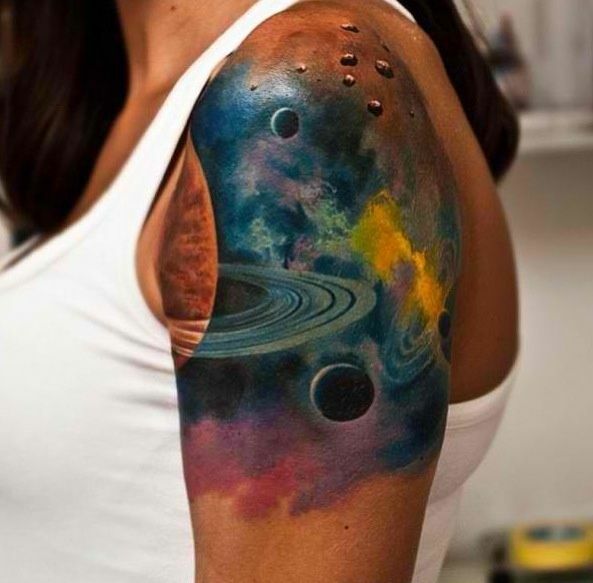 Watercolor tattoos are the newest sensation in body art, and for good reason. As tattoos have entered into the mainstream, there has been an increase in styles for every type of person, and tattoos applied in the style of watercolor paint – with its subtleties, lavish colors, and transparencies – can do more to adorn a body than detract from it. It takes a delicate artist to be able to do this medium justice, and I’ve found just a few pieces that have really captured the look of watercolor and ink. 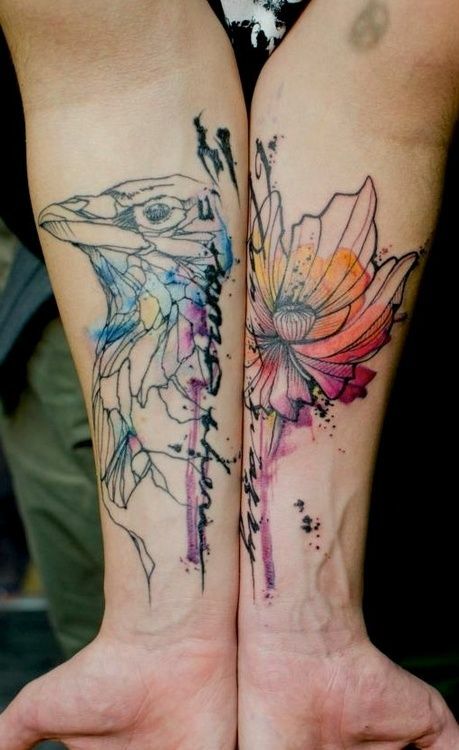 Watercolor arm tattoo. They made it look like MARKERS. Wow.